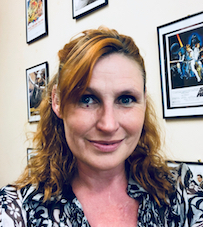 Traci-Ann is in the final stages of her doctoral degree focussing on teachers’ decision-making processes in the adoption and cessation of evidence-based practices when working with students with autism. Having studied at the University of Tasmania, Traci-Ann brings a wealth of on-campus and on-line teaching expertise with her. Having taught a broad range of subjects including Inclusive Education, Motor Development Across the Lifespan and Adapted Physical Activity. Traci-Ann has joined the Inclusive Education team here at UNE and is currently teaching in a range of units in her area of specialisation. These include Educating Students in Inclusive Environments, Autism: Psychological Theories and Educational Approaches, Functional Behaviour Assessment, Transitions: School to Community, Positive Behaviour Support (Special Education) and Classroom Management. Garrad, T. A., Rayner, C., Pedersen, S. (2018). Attitudes of Australian Primary School Teachers toward the Inclusion of students with Autism Spectrum Disorders. Journal of Research in Special Needs Education, (In Press).